There are many types of driveway surfacing. 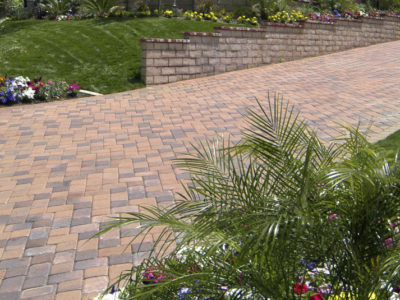 A popular way to cover your driveway is to use paving. The most common materials used for paving are concrete, stone and clay brick. Most homeowners decide which type of paving they want by thinking about what they want their driveway to look like and how much money they want to spend. But is paving the best way to surface your driveway? It depends on what you’re after. We’ve put together a list of pros and cons to help you decide whether a paved driveway is for you. Paved driveways are very low maintenance. All they need is the occasional hose down or sweep. A few weeds may appear between pavers, but you can easily pull these out as and when they appear. Paved driveways are long-lasting. If you install and maintain your paving correctly it should last for at least 20 years. Paved driveways are easy to repair. This is due to the fact that they are made up of lots of small parts. If part of the driveway becomes damaged you only have to remove and replace the affected pavers. 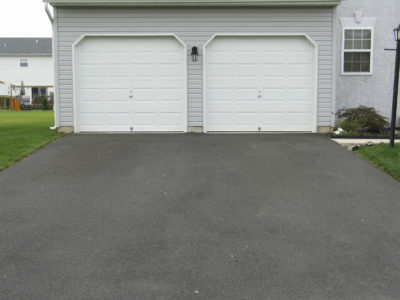 This is relatively inexpensive and doesn’t affect the appearance of the driveway. 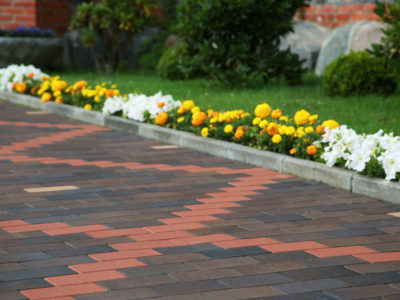 Paved driveways come in a variety of different materials, colours, shapes and sizes. You can use different colours and shapes to create attractive patterns and designs. Many people coordinate their driveways with their homes. This contrasts with other materials, like asphalt, which only come in one colour. Some types of paving can be fragile. 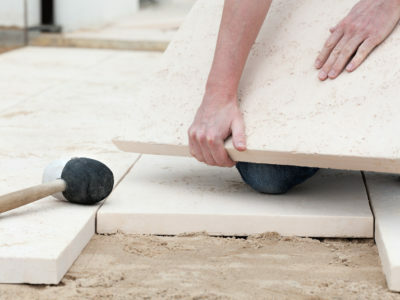 Clay paving especially can crack or break under pressure. This can be a problem if you frequently have heavy vehicles on your driveway. Installing a paved driveway can be expensive. This is because paving is more expensive than other driveway surfacing materials, like gravel. So if you’re after a driveway surface that’s low maintenance, long-lasting and easy to repair, a paved driveway might be for you. If you want to get one installed, fill in the online form below. We’ll connect you with up to 4 local tradespeople, who’ll be able to give you a free quote. If you’re interested in other types of driveway surfacing, take a look at our information on gravel, asphalt and concrete.